Dr. Anna Haensch, Assistant Professor of Mathematics, recently named US Junior Oberwolfach Fellow. 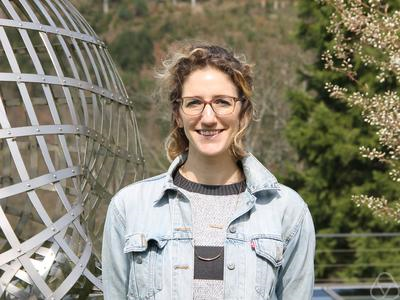 Dr. Haensch was awarded a travel grant to attend a workshop "Reflection Groups in Spaces of Negative Curvature," at the Oberwolfach Research Institute (MFO) in Oberwolfach Germany where she gave a lecture "Problems of computation and enumeration with quadratic forms." Congratulations Anna! 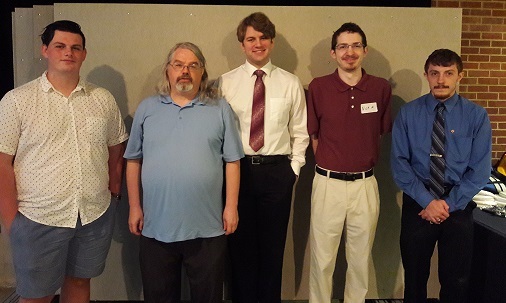 Six of our undergraduate Computer Science students competed in the annual ACM programming contest hosted by Youngstown State University. One of the teams from Duquesne won this year's Jolly Jumpers award, for representing the school with the biggest year-to-year improvement. The team members were Noah Greenberg, John Natale, and Jonathan Kamis and each one will receive a gift card from the ACM ICPC Foundation. Dr. Patrick Juola, Professor of Computer Science, recently participated in a "Cyborg Fiction-Writing Experiment" with Novelist Robin Sloan, in which humans and computers collaborated to write a fantastic short story. This was part of The Midnight Society, a "pop-up writing collective" that came into existence for three days at CMU. Check out the results https://www.robinsloan.com/center-for-midnight/! Andrea Sajewski, double major in biomedical engineering and mathematics, presented her poster at the Society for Women Engineers (SWE) (http://societyofwomenengineers.swe.org/) Collegiate Research Competition in Minneapolis. Congratulations on being one of the top 10 undergraduate finalists! Dr. Anna Haensch, Assistant Professor of Mathematics travels to Tufts University in Boston to give a lecture. Title and abstract can be found here: http://math.tufts.edu/seminars/colloquia.htm. Dr. Patrick Juola, Professor of Computer Science, received an award from the National Science Foundation (NSF) to fund his project "SaTC: CORE: Small: Collaborative: Defending Against Authorship Attribution Attacks,". Congratulations Dr. Juola! Dr. Patrick Juola, Professor of Computer Science, provides expert information in a recently published CIO article. Read the full article here: https://www.cio.com/article/3300116/internet/can-the-internet-crash-how-the-unthinkable-could-happen.html#slide1. 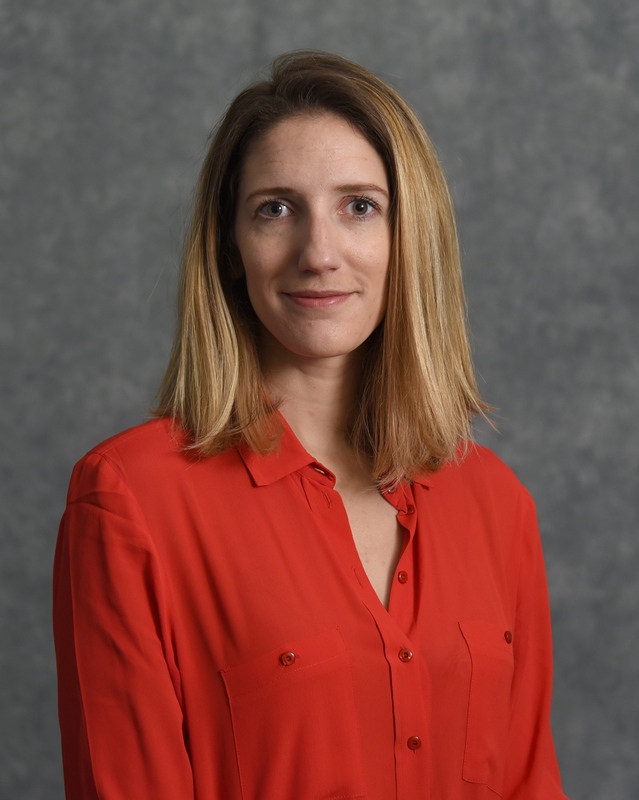 Dr. Rachael Neilan, Associate Professor of Mathematics, recieved a three year award from the National Institute of Health's R01 program as co-PI of the project "Impact of amygdala laterization on processing and modulation of bladder pain" with PI Dr. Ben Kolber from the Biology Department. Congratulations Rachael! 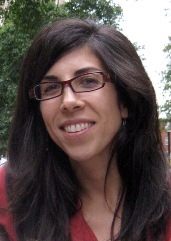 Dr. Stacey Levine, Professor of Mathematics, received a three year award from the National Science Foundation's Computational and Data-Enabled Science and Engineering program, to fund her project “Learning geometry for inverse problems in imaging". Congratulations Stacey! Dr. Patrick Juola and four Computer Science majors collectively presented three papers at the Keystone DH Conference (http://keystonedh.network/2018/) hosted by Penn State University. The conference showcases scholarly research in the digital humanities. Pictured below from left to right: Nick Costello (undergraduate student), Dr. Patrick Juola (CS Professor), Derek Prijatelj (class of '18), Nicholas Marshman (class of '18) and Mathew Kaufman (class of '18). In addition, Dr. Juola, Nick Costello, Derek Prijatelj and Nicholas Marshman are members of the Duquesne University Evaluating Variations in Language Laboratory (EVL Lab). 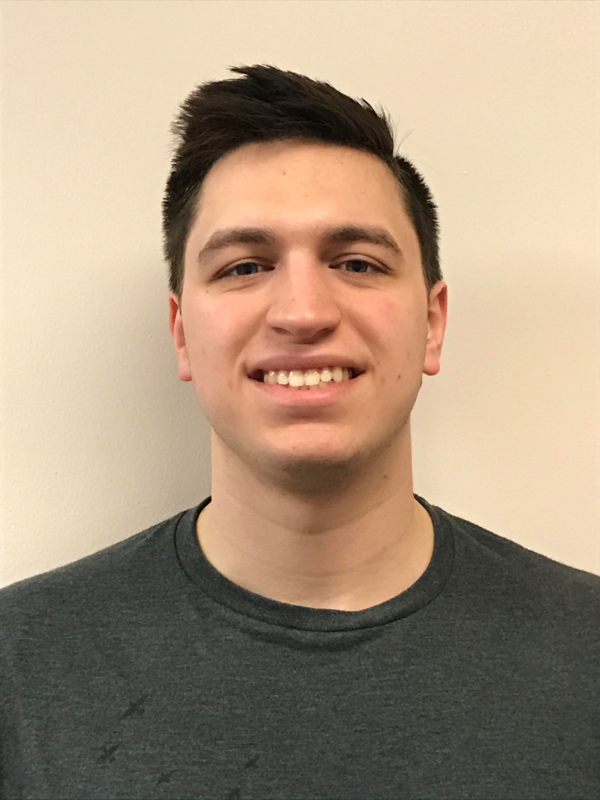 David Berdik, Computer Science major, competed at Phi Beta Lambda National Leadership Conference in Baltimore, MD. This is David's 4th year competing at the national level. This year David placed 3rd in the Cyber Security event. In 2015 and 2017 David placed 1st in his events. Congratulations David! Madeline Galbraith, dual Computer Science and Physics major, wins prestigious NSF Graduate Fellowship. This fellowship provides Madeline with three years of funding to do research in biophysics while she works toward her Ph.D. at Rice University. Congratulations and good luck! 2018 marked the fifth year that the Departmental Excellence Award winners in mathematics and computer science received an award from the Charles Loch Memorial Fund. Established in 2014 through a generous gift from the Loch family, the Charles A. Loch memorial fund recognizes the top mathematics and computer science graduates with a monetary award in honor of the late Chuck Loch (pictured on right). Brianna Camp and Jessica Schreiber (top left) were the 2018 recipients of Departmental Excellence Award in Mathematics and Madeline Galbraith (bottom left) received the Departmental Excellence in Computer Science. Congratulations! 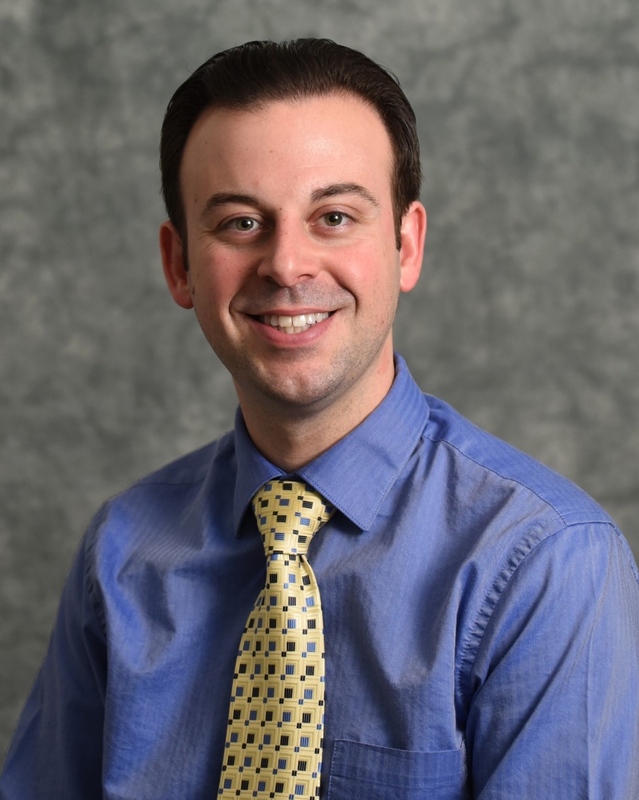 Josef Di Pietrantonio, Graduate CPMA student, receives nomination for 2017-2018 Graduate Student Award for Excellence in Teaching. Josef was the recipient of the Certificate of University Teaching and the Advanced Certificate of University Teaching. Congratulations Josef and best of luck with your Ph.D.! 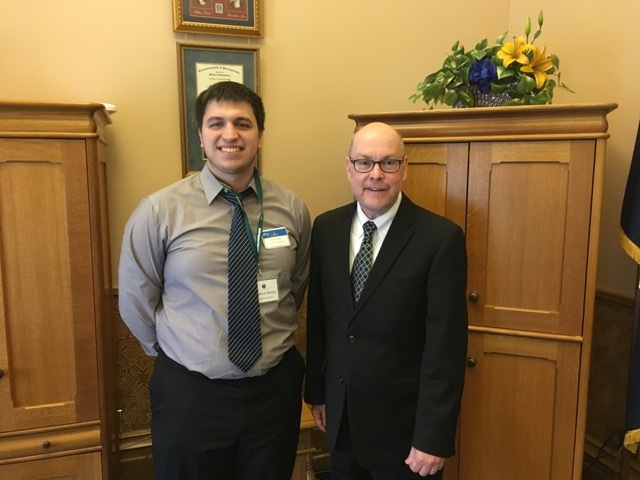 Joshua Baktay, Mathematics Major, meets PA State Rep. Jim Marshall during his Undergraduate Research presentation at the Capitol in Harrisburg, PA.
David Berdik, Computer Science Major, placed first in Cyber Security competition at the 2018 Pennsylvania Phi Beta Lambda State Leadership Conference in Harrisburg, PA. David will advance to the national level in Baltimore, MD on June 23, 2018. Congratulations David and good luck at nationals! Dr. Patrick Juola, Professor of Computer Science, sits down with KDKA for a live interview regarding Facebook. Watch the interview on KDKA for Dr. Juola's tips on protecting your personal information. 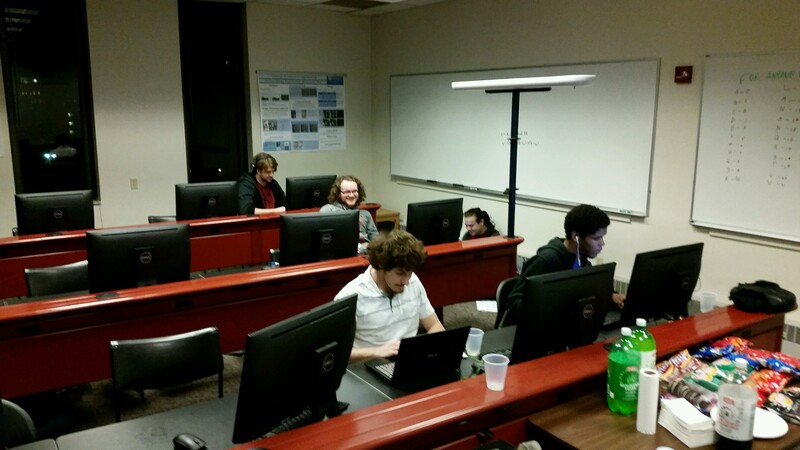 The Duquesne chapter of the Association for Computing Machinery held their first on-campus competition to promote computer science and computer literacy for everyone. Board members of the Computer Science Club felt that this competition would be a great way to get students excited about the amazing possibilities in software engineering. Prize catagories included Cryptography (Code-Breaking) and Website Design. The program was supported by the computer science club, computer science faculty, and recent computer science alumni. Special thank you to Dr. Patrick Juola, Timothy Ireland and Brady Sheehan for their efforts! Dr. John C. Kern presents Benjamin Graham and Robert Lipnichan their 2018 PJAS Awards, Duquesne University hosted hundreds of middle and high school science students from Allegheny and Westmoreland counties on Saturday, February 3, 2018. The event brings 800 7th-12th graders to the University where they present work they've conducted since the beginning of hte school year. Great Job, Benjamin and Robert! Joshua Baktay, (math major) presented his research with Dr. Neilan at the Undergraduate Research Conference at NIMBioS in Knoxville, TN on November 11-12. Joshua presented a poster describing his computational model of the central nucleus of the amygdala and how it reacts to pain. He also gave a talk about his model and the importance of interdisciplinary research. Great job, Joshua! Madeline Galbraith, dual Computer Science and Physics major, wins prestigious Goldwater Scholarship. Read the full article in the Duquesne University Times. After graduation, Madeline will attend Rice University for her Ph.D. in Physics with a concentration in biophysics. Congratulations and good luck! Dr. Anna Haensch received the 2017 AWM Mentoring Travel Grant. She will be using this grant to visit a collaborator (Dr. Andrew Earnest) at Southern Illinois University Carbondale for the month of October to work on a project "An enumeration of spinor regular quadratic lattices." The second award she received is the 2017 AMS-Simons Travel Grant. These funds will be used for travel to Chile in January to attend the annual meeting in her research area, arithmetic theory of quadratic forms. SageDays 90: Women in Sage at Harvey Mudd College Oct 22-25. The goal of the workshop is to teach women the skills necessary to contribute to open source software development for the computer algebra system SAGE. Funded jointly by Microsoft Research and the Beatrice Yormark Foundation. Dr. Juola, a leading expert in the field of forensic linguistics and authorship attribution instructs Python for Humanists, an introductory programming workshop for researchers in the humanities at the University of Pittsburgh. 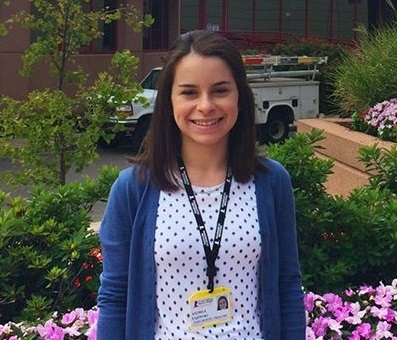 Andrea Sajewski, double major in biomedical engineering and mathematics, participated in the Pediatric Onocology Education Program at St. Jude Children's Hospital this summer. 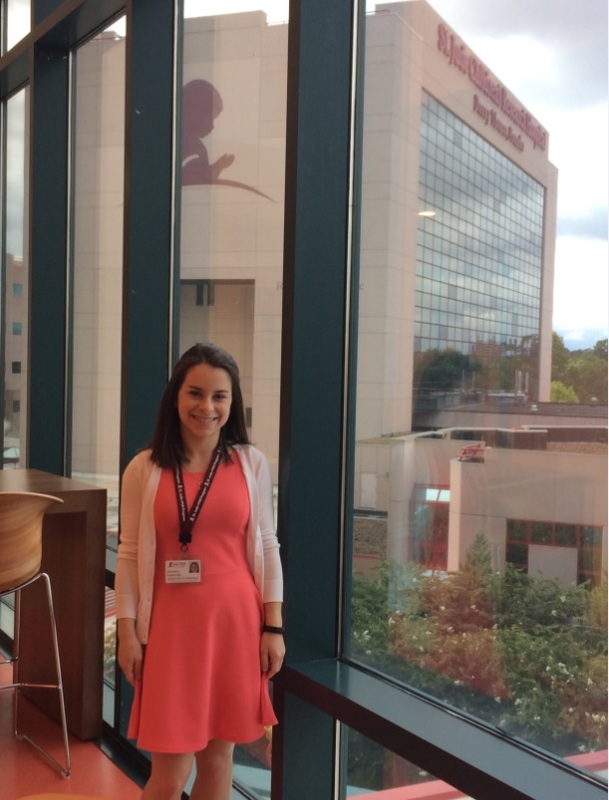 Andrea interned in the Diagnositic Imaging Department. Click here to see Andrea featured on Duquesne's Facebook page. Congratulations, Andrea! 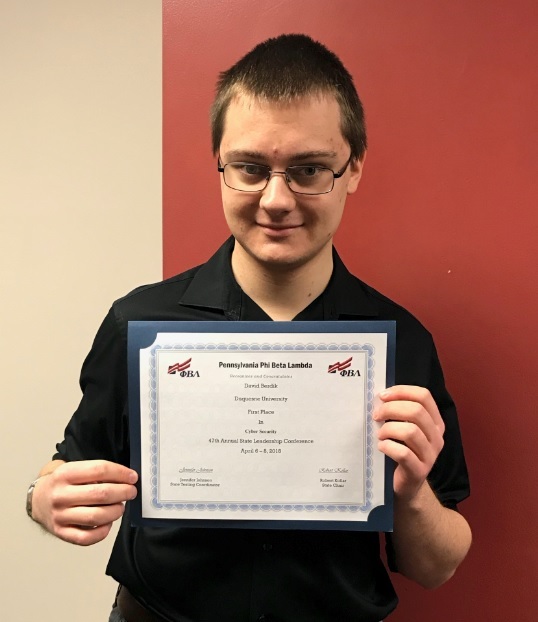 David Berdik, computer science major, placed first in the Phi Beta Lambda National Leadership Conference competition in Anaheim, California. Read the full article here. Congratulations, David! 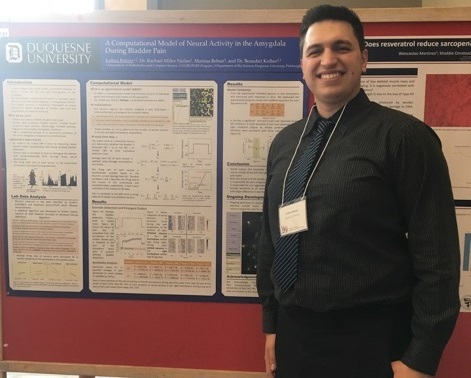 Joshua Baktay was awarded the 2017 Duquesne University Undergraduate Summer Research Fellowship. The $4k award is a highly competitive fellowship awarded to one undergraduate student so that he or she may conduct summer research. 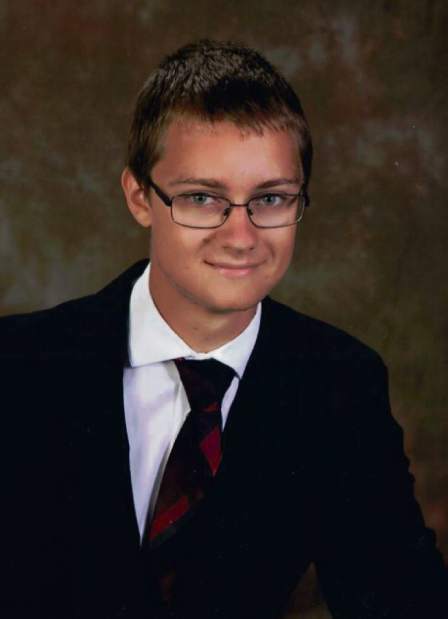 Joshua's research project is titled "A Computational Model of the Central Nucleus of the Amygdala during Bladder Pain" and will be conducted under the supervision of Dr. Rachael Neilan. Congratulations, Joshua! Congratulations to administrative assistant Pauline Fediaczko for receiving the 2016-2017 McAnulty College and Graduate School Staff Award. Pauline was recognized for her exemplary service to our students, our faculty, and fellow adminstrators. Congratulations, Pauline! 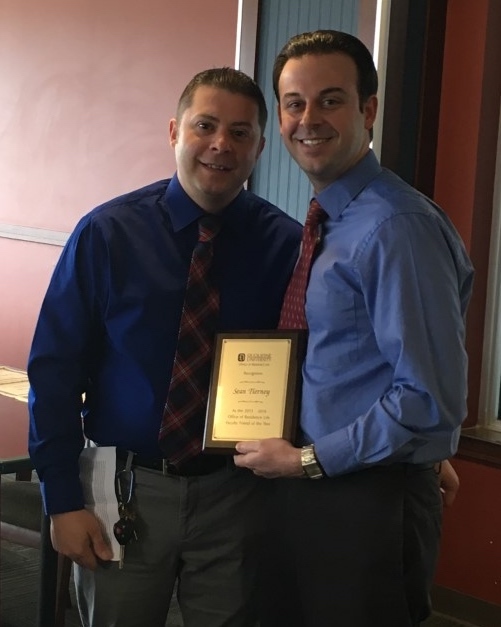 The Duquesne chapter of the National Society of Leadership and Success has named our own Sean Tierney as the 2016-2017 recipient of their Excellence in Teaching Award. Currently the director of the RATIO Learning Community, Sean can add this award to his several others: 2015-2016: Office of Residence Life Faculty Friend Award 2013-2014: Apple Polishing Award (Sigma Tau Gamma) 2013-2014: Apple Polishing Award (Alpha Phi) 2012-2013: Teacher of the Year Award Recipient Congratulations, Sean, for this well-deserved recognition! Congratulations to Dr. Rachael Neilan recipient of the 2016-2017 Junior Faculty Excellence in Teaching Award. News of this achievement was received just days after Dr. Neilan's promotion and tenure. Congratulations Rachael! 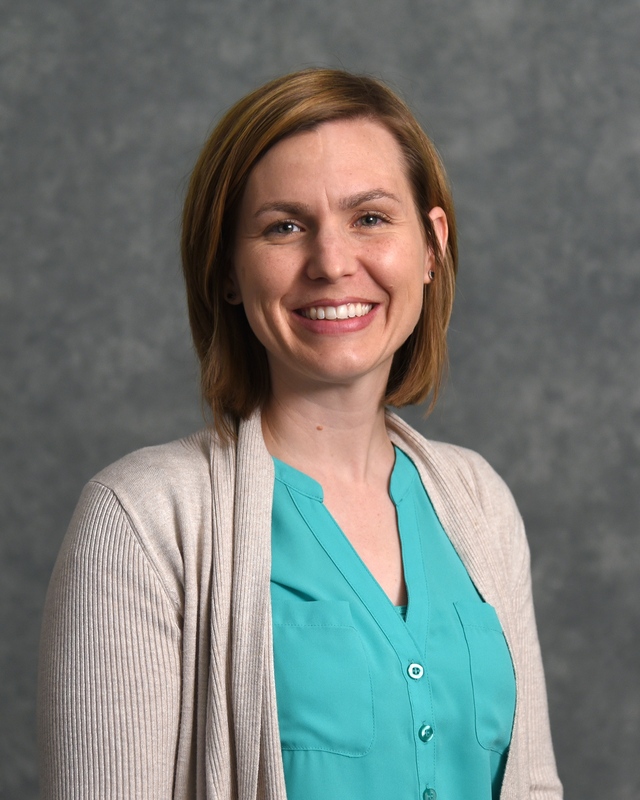 Congratulations to Dr. Rachael Neilan for earning tenure and promotion to the rank of associate professor. Dr. Neilan's research encompasses multiple disciplines, including theoretical mathematics, computation, ecology, epidemiology, and oceanography. Additionally, Dr. Neilan is an outstanding teacher and mentor to both undergraduate and graduate students. Congratulations Rachael! Congratulations to Dr. Anna Haensch for her successful completion of third year review. Dr. Haensch's research is in number theory and deals with modern approaches to classical representation problems for sums of squares. She is also involved in mathematical media outreach and edits the American Mathematical Society's Blog on Math Blogs. Congratulations Anna! Dr. Anna Haensch's recent math blog was featured in the Notices of the AMS, June/July edition. Click here to view full article. In addition, NPR profiled Dr. Haensch, Podcaster and Mathematician, which can be viewed here. Dr. Anna Haensch is one of the mathematical contributors to the vast L-functions and Modular Forms Database (LMFDB) that launched on May 10, 2016. Dr. Haensch's informative news article can be found here, or you can listen to her live interview courtesy of Essential Pittsburgh on NPR here. 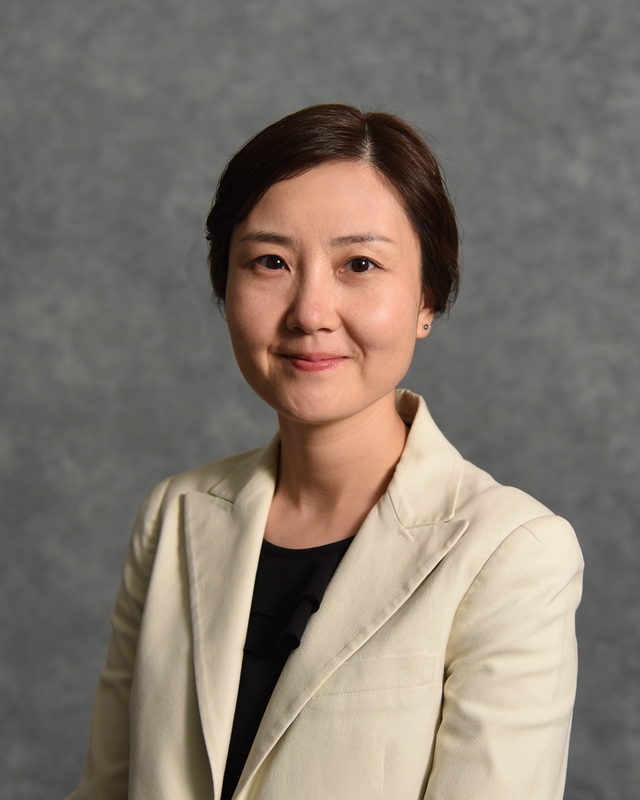 Dr. Junshu Bao received her Ph.D. in Statistics from the University of South Carolina this May. In addition, Dr. Bao brings with her the following academic credentials: M.A. Mathematical Statistics (2007), Wayne State University, Detroit, MI; M.S. Financial Engineering (2003), Columbia University, NY, NY; and B.A. Finance (2000), Dongbei University of Finance and Economics, China. We are very excited to add her to our team. Sean has set a new record with a total of 10 residence hall programs. His willingness to interact with the students outside of the classroom is exceptional. 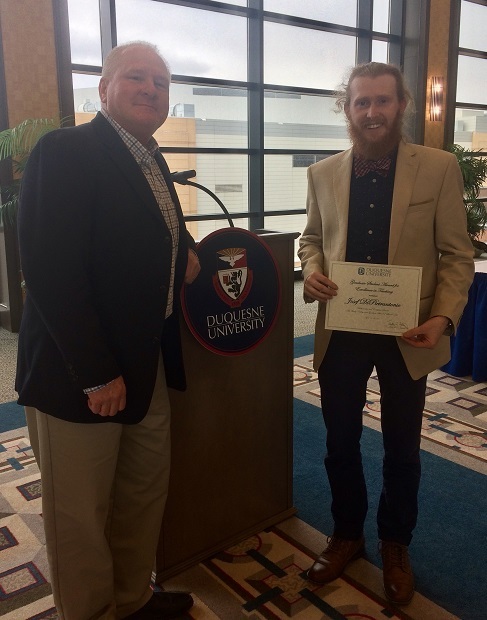 The award was presented to Sean on May 4, 2016 at the Resident Assistant End of The Year Breakfast. Congratulations and thank you for all that you do for our students! 2016 marked the third year that the Departmental Excellence Award winners in mathematics and computer science received an award from the Charles Loch Memorial Fund. 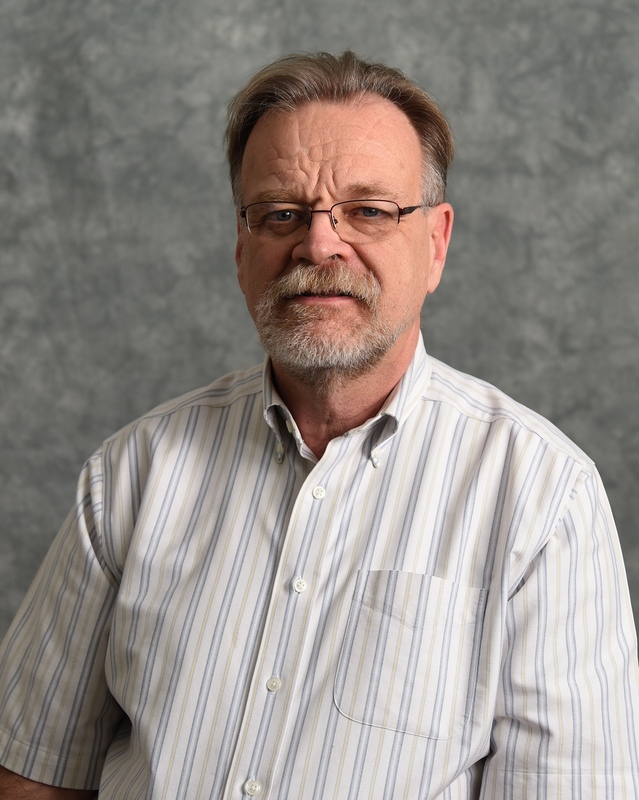 Established in 2014 through a generous gift from the Loch family, the Charles A. Loch memorial fund recognizes the top mathematics and computer science graduates with a monetary award in honor of the late Chuck Loch (pictured), who was a tenured Duquesne university mathematics professor of 42 years and former departmental chairman of the mathematics and computer science department. 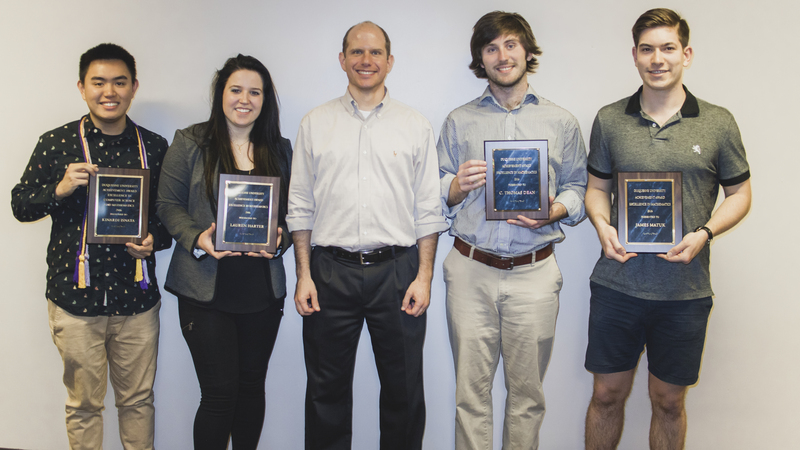 C. Thomas Dean, Lauren Harter and James Matuk were the 2016 recipients of Departmental Excellence Award in Mathematics and Kinardi Isnata received both the Departmental Excellence in Mathematics and Computer Science. Congratulations! Math major Timothy Ireland presented the results of his computational model for feral cat population and nuisance control at the National Institute of Mathematical and Biological Sciences undergraduate research conference in Knoxville, TN on November 20-21. You can read about Tim’s research here. Dr. George Bradley, associate professor, received the Meritorious Service Award from the Mathematical Association of America (MAA). The award, which is given only once every five years, is determined by the members of the honoree's geographic section. 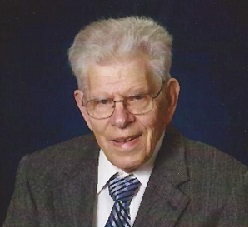 Bradley has been a longtime participant in the Allegheny mountain Section of the association. Congratulations, George! 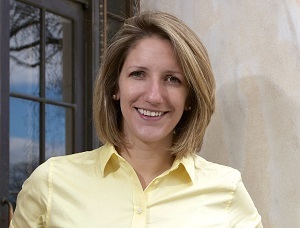 Dr. Rachael Miller Neilan has received a Faculty Development Fund award of $10K. The funds are to be used for a project titled, "A mathematical model for feral cat colonies in Pittsburgh and analysis of optimal cost-effective TNR policies." The period of the award extends from May 1, 2015 through August 1, 2017, and will fund undergraduate researchers. Congratulations, Rachael! Dr. Anna Haensch has received a Faculty Development Fund award of $3K. The funds are to be used for a project entitled "A study of sums of triangular numbers." The period of the award extends from May 1, 2015 through August 1, 2017, and will fund undergraduate researchers. Congratulations, Anna! 2015 marked the second year that the Departmental Excellence Award winners in mathematics and computer science received an award from the Charles Loch Memorial Fund. Established in 2014 through a generous gift from the Loch family, the Charles A. Loch memorial fund recognizes the top mathematics and computer science graduates with a monetary award in honor of the late Chuck Loch (pictured), who was a tenured Duquesne university mathematics professor of 42 years and former departmental chairman of the mathematics and computer science department. 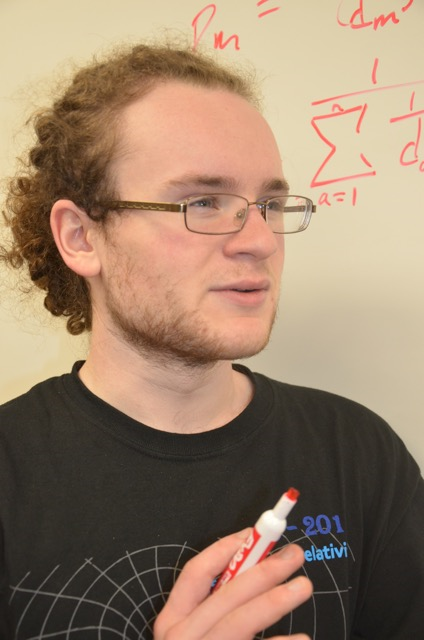 Daniel Kotson is the 2015 recipient of Departmental Excellence Award in computer science. 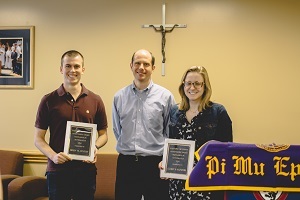 Drew Finton and Claire Saunders received jointly the 2015 Departmental Excellence Award in Mathematics, and are shown receiving their awards from department chair Dr. John Kern. Claire Saunders also is the recipient of the 2015 McAnulty College General Excellence Award. Congratulations! 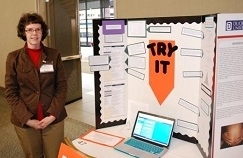 The Department of Mathematics and Computer Science was well-represented at the 2015 Undergraduate Research Symposium, held on April 9 in the Power Center Ballroom. Five students delivered poster presentations of their research: Justin Goodwill, James Matuk (Dr. Stacey Levine, advisor), as well as Chuan Phongphothichitkun and Jennifer Estevez-Velez, and AJ Vogt (Dr. Rachael Neilan, Advisor). The presentations by Chuan Phongphothichitkun and Jennifer Estevez-Velez, and Justin Goodwill were recognized for their outstanding quality; this recognition is accompanied by a cash prize. Congratulations to Dr. Stacey Levine for earning promotion from the rank of associate professor to the rank of full professor. 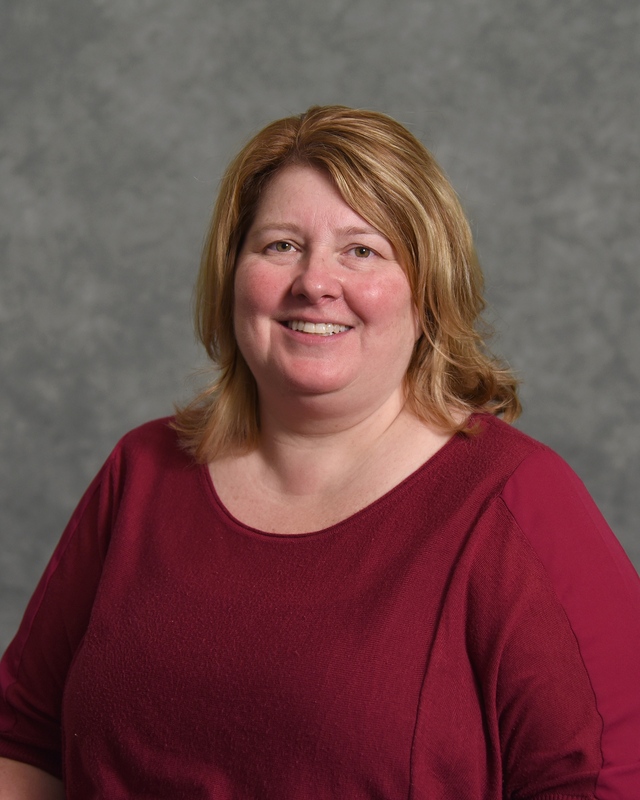 This is a reflection not only of Stacey's widely recognized expertise in the field of digital image processing, but also of her outstanding classroom teaching and mentoring of undergraduate research. Congratulations, Stacey! Congratulations to Dr. Karl Wimmer for earning tenure and promotion to the rank of associate professor. 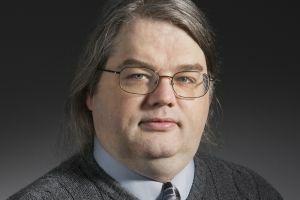 Professor Wimmer's research intersects the fields of discrete and combinatorial mathematics, machine learning, and theoretical computer science, and has been recognized for its quality by peers from the global community. Dr. Wimmer is also a versatile teacher, regularly offering courses at both the undergraduate and graduate levels. Congratulations, Karl! The 2014 Graduate Research Symposium was held on November 7 in the Power Center Ballroom. Second-year Computational Mathematics Master's student Lisa Over was voted the McAnulty College Outstanding Poster award winner (with cash prize) for her project "Losing Schools to the Economic Chasm". In this research Lisa identifies a quantifiable positive association between the typical family income of a school district and the standardized test score performance of that school district. Advisors Dr. John Kern and Dr. Jim Schrieber. 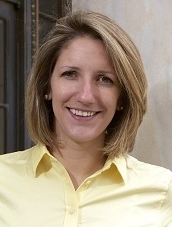 Summer 2014: Anna Haensch named a Project NExT Fellow. Project NExT (New Experiences in Teaching) is a program sponsored by the Mathematical Association of America (MAA) to aid in the professional development of mathematicians, statisticians, and mathematics educators after they earn the doctoral degrees. The year-long fellowship involves workshops and lectures that address career-honing teaching skills, research and scholarship, and the many opportunities available to become active in the mathematics community. It also gives participants an ongoing network of peers and mentors as they assume teaching and scholarship responsibilities. 2014 marked the first year that the Departmental Excellence Award winners in mathematics and computer science received an award from the Charles Loch Memorial Fund. Established in 2014 through a generous gift from the Loch family, the Charles A. Loch memorial fund recognizes the top mathematics and computer science graduates with a monetary award in honor of the late Chuck Loch (pictured), who was a tenured Duquesne university mathematics professor of 42 years and former departmental chairman of the mathematics and computer science department. Congratulations to Dr. Patrick Juola for earning promotion from the rank of associate professor to the rank of full professor. This is a reflection of Patrick having achieved broad recognition for his scholarly accomplishments, most notably in the area of computational linguistics, as well as for his demonstrated educational influence well beyond the classroom. Congratulations, Patrick! 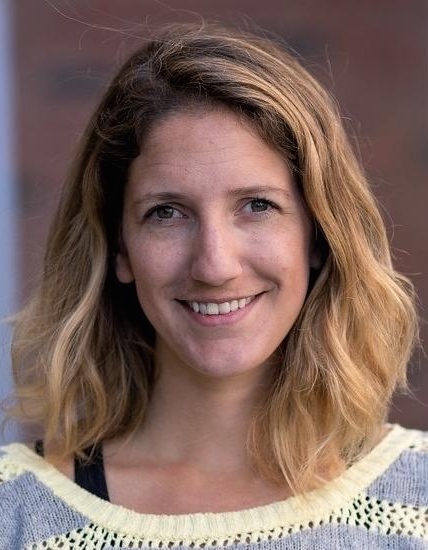 Dr. Anna Haensch has been invited to be a visiting researcher at the Max Planck Institute for Mathematics (MPIM) in Bonn, Germany from January through May, 2014. She is working on problems in number theory that involve resolving local-to-global problems for quadratic polynomials in three variables, and, the exploration Hecke operators in coding theory. The institute has many top number theorists on its permanent faculty with whom Anna will collaborate. Bonn is very special because it is also home to the Hausdorff Institute, The Institute for Numerical Simulation, the Research Institute for Discrete Mathematics, the University of Bonn, and the CAESAR Center for Advanced European Studies and Research -- all of whom host weekly mathematics seminars to which the members of MPIM are invited. Mr. Sean Tierney has been chosen as a recipient of two 2014 Apple Polishing teaching excellence awards. Every spring, Greek organizations each vote for a Duquesne faculty to receive their recognition of teaching excellence. This spring, the sisters of Alpha Phi and brothers of Sigma Tau Gamma separately awarded Sean with this recognition. Congratulations, Sean! 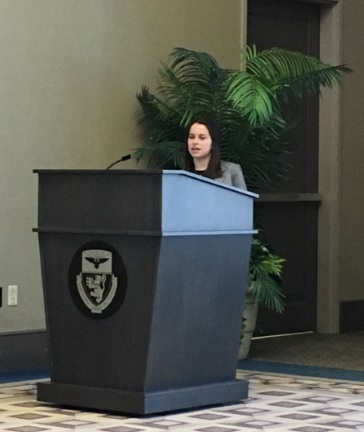 Duquesne CPMA graduate student Belinda Hasanaj received the Provost's Award for Outstanding Scholarship for her work presented at Duquesne's inaugural Graduate Student Research Symposium on October 25. Belinda was one of 58 graduate students presenting research. 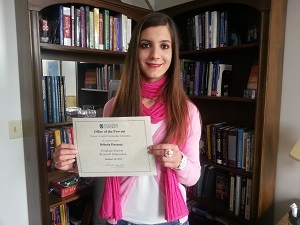 The award is based on her oral presentation, "Authorship Attribution Methods in Albanian," with Dr. Patrick Juola as her advisor. Congratulations, Belinda! Dr. Anna Haensch has joined the department as an assistant professor of Mathematics in Fall 2013. Dr. Haensch completed her Ph.D. in number theory from Wesleyan University in May 2013. Her dissertation research includes both the theoretical and computational study of number theory, with a focus on representation problems for Diophantine equations. As a contributing programmer for the Sage open-source computer algebra system, Dr. Haensch has enhanced the quadratic forms module of this system based on her dissertation results. Dr. Haensch is fluent in German, and is an avid biker and runner. 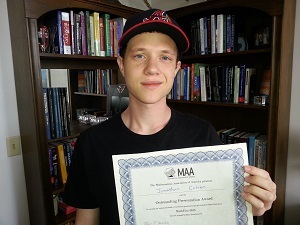 This summer, at Mathfest 2013 in Hartford, CT, Duquesne mathematics major Jonathan Cohen won one of 22 Outstanding Presentation Awards for his talk "Pointwise Smoothing of Images in Besov Spaces." His talk was prepared under the advisement of Dr. Stacey Levine. The Mathfest conference is a national math conference held each year by the Mathematical Association of America (MAA) which focuses on math education and undergraduate research. Every year at Mathfest, there is a series of undergraduate talks presenting qualified undergraduate research in math. These talks are broken up into several (20+) sessions, with each session having 5-7 presentations. The presentations are judged, and the students judged best in each session are given the Outstanding Presentation Award. Congratulations Jon! Dr. Patrick Juola has used his stylometry and computational linguistics expertise to provide strong evidence that a mystery novel published under a fake man's name was actually the work of J.K. Rowling. Patrick and his authorship attribution prowess are currently being recognized in several media outlets, including The Chronicle of Higher Education, National Geographic, Time Magazine, The New York Post, The Pittsburgh Business Times, The Pittsburgh Post-Gazette, and The Pittsburgh Tribune Review. Steve Cotter, a 2012 graduate of the Computational Mathematics (CPMA) master's program, was awarded a $25,000 investment for his start-up company, Collected (http://alphalab.org/companies/collected). The award comes from AlphaLab, a subsidiary of Innovation Works, and also provides South Side office space, weekly business training seminars, and access to mentors with start-up company experience. The award culminates in a demo day event where investors and media are invited to a presentation of the new products and services. Steve will work together with another CPMA graduate, Amanda Kroft '13, to address the problem of finding and easily accessing content across the many web services that individuals and workgroups use to store files (Dropbox, Google Drive, etc.). Dr. Anna Hanesch has been accepted as the 2013 AMS-AAAS Mass Media Fellow to National Public Radio. Anna will spend 10 summer weeks at the NPR offices writing and consulting on math and science stories. Upon completion, Anna will travel to the Bluff to begin her first semester as a Duquesne faculty. More information on the Mass Media Fellow program can be foundby clicking here. 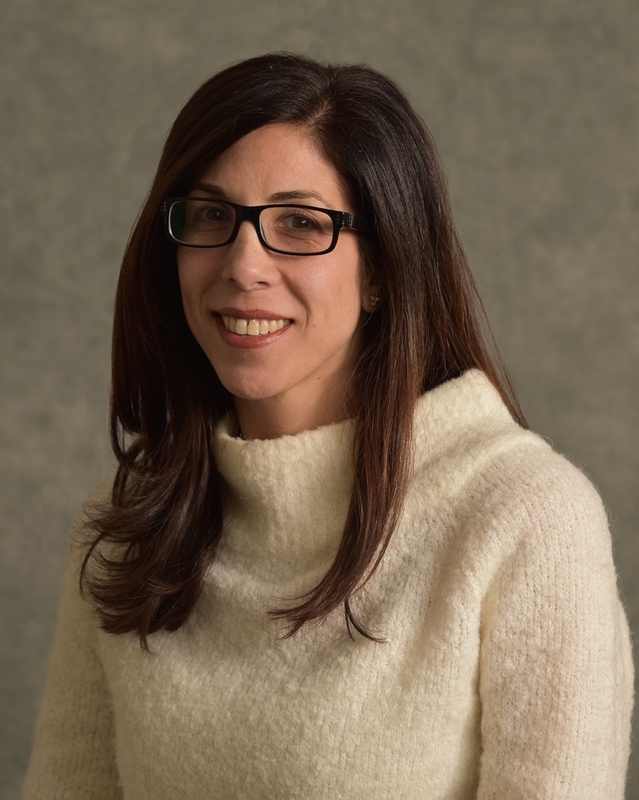 Dr. Stacey Levine has received a $185,240 grant from the National Science Foundation for the project, "RUI: New Applications of Curvature in Image Processing." This is her third NSF award, and is funded through June, 2016. She plans to hire undergraduate students to assist her in this research. Graduating senior mathematics major Glenn Sidle received the 2013 Departmental Excellence award in mathematics, the highest honor for graduating mathematics majors in the Department of Mathematics and Computer Science. 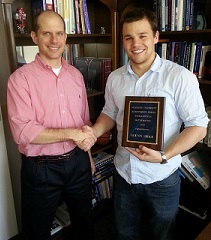 He is shown here accepting the award from department chair Dr. John Kern. Glenn minored in both computer science and physics, and was active in conducting and presenting undergraduate research in digital image processing under the advisement of Dr. Stacey Levine. 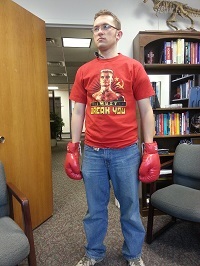 Glenn has accepted a Ph.D. fellowship to study applied mathematics at North Carolina State University. Mr. Sean Tierney has been named a recipient of the 2012 - 2013 Omicron Delta Kappa Teacher of the Year Award. Each year, Duquesne's chapter of Omicron Delta Kappa, the National Leadership Honor Society, sponsors the Teacher of the Year award. During the month of March, all Duquesne students have the opportunity to vote for the faculty whom they believe to be most deserving of this award. 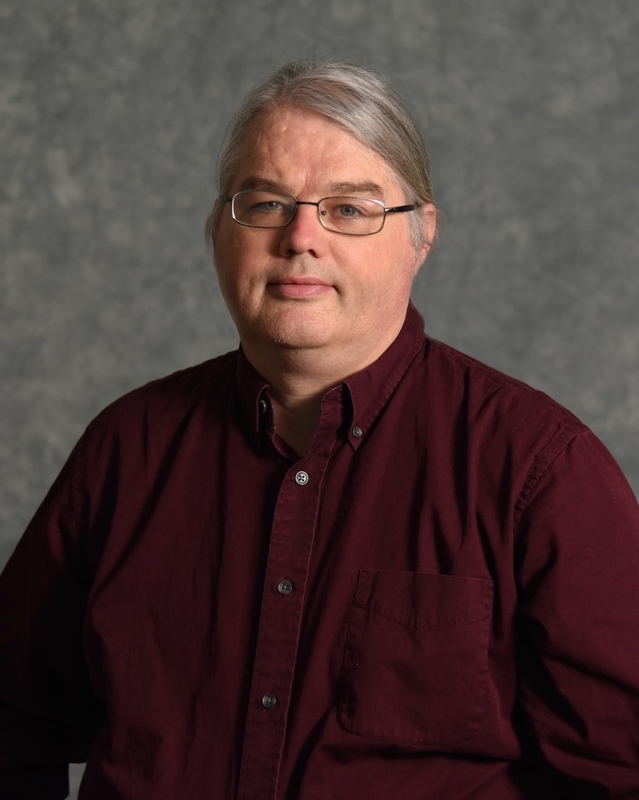 The Department of Mathematics and Computer Science is happy to see Sean's teaching excellence and dedication to his students receive such prominent recognition!